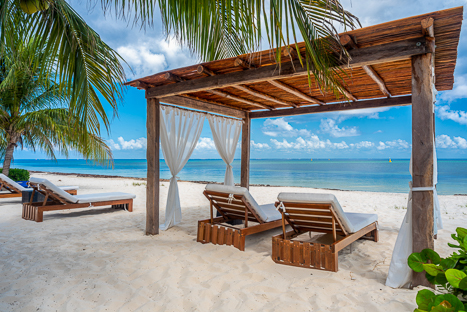 Here's your secret hideaway on the beach! Have a larger group? 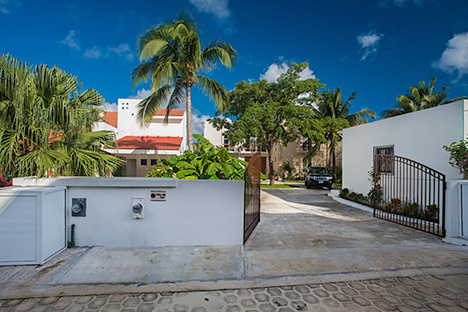 Add Villa Grace 5 BR for total of 9 Bedrooms! Far enough from town to feel secluded, yet close enough to enjoy the dining and shopping opportunities in town. 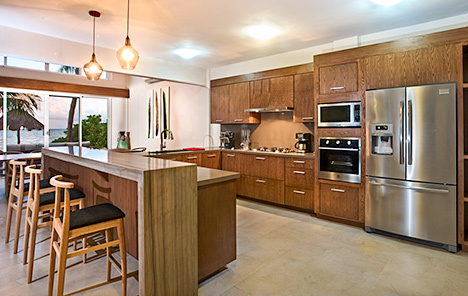 Add COOK SERVICE and enjoy delicious homemade meals in the comfort of your vacation home. Start the day with a piping hot breakfast. For lunch or dinner, savor the flavors of authentic Mexican, Mayan and Yucatecan dishes. Maximum occupancy: 12. There is also a crib available. 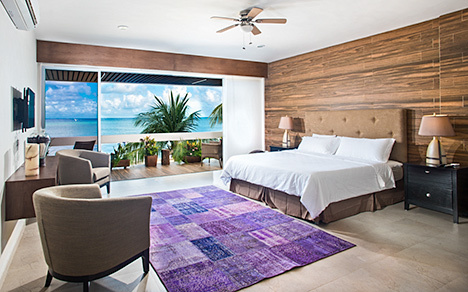 Add Villa Grace 5 BR for total of 9 Bedrooms! 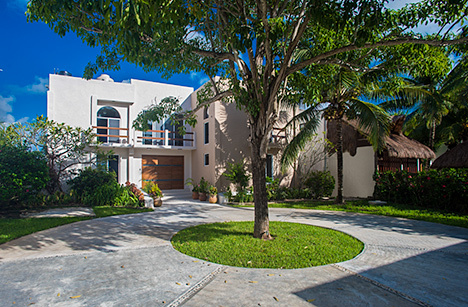 More about Villa del Sol . 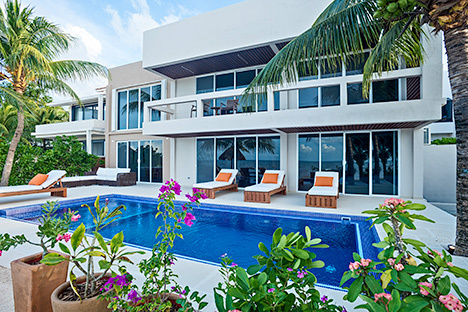 . .
Villa del Sol (House of Sun) is the NEWEST addition to our luxury collection of villas on the island of Cozumel. Villa del Sol Villa del Sol offers the same high quality as Villa Grace (located next door) and Villa Eden (same owner). 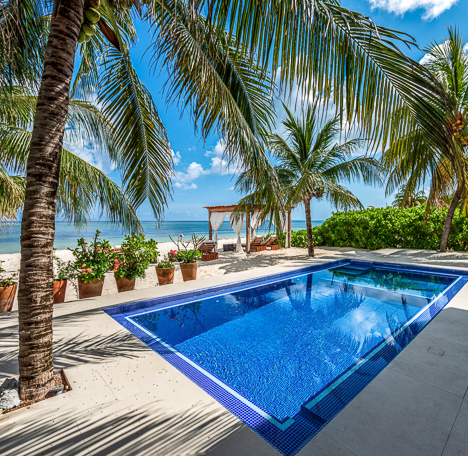 Nestled along a secluded sandy beach on the beautiful north shore of Cozumel, Villa del Sol is one of just a few private villas in Country Club Estates. You'll enjoy the serenity of a seaside location and yet be just 3 miles from town so you have easy access to dining and shopping opportunities. 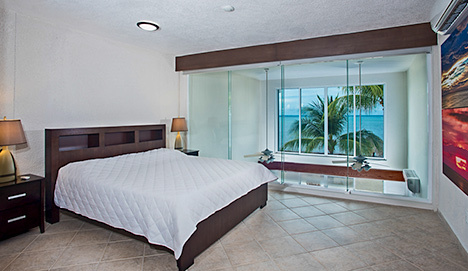 Villa del Sol has two levels with 4 spacious bedrooms and 4.5 bathrooms and is an ideal vacation rental for families, friends or couples. 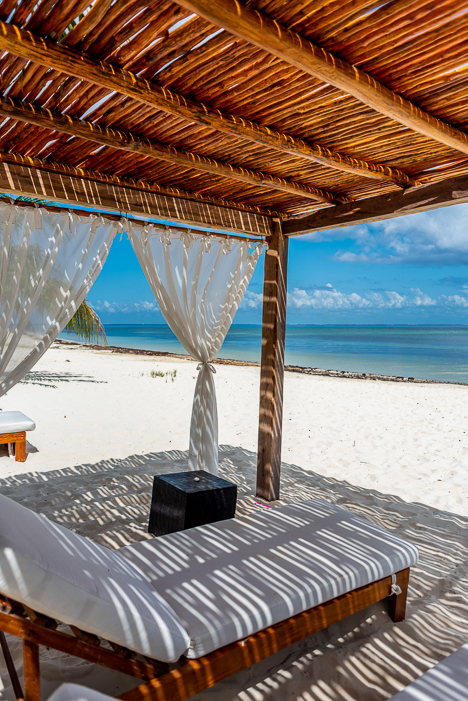 If you are looking for a beachfront retreat, this is it! 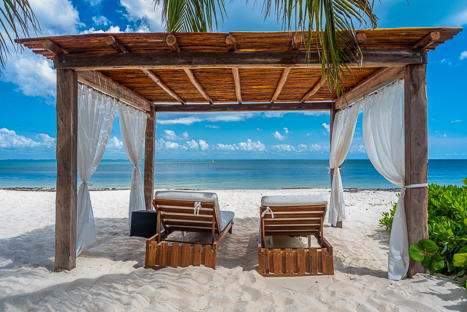 You are smack dab in the middle of an expansive stretch of sandy beach. 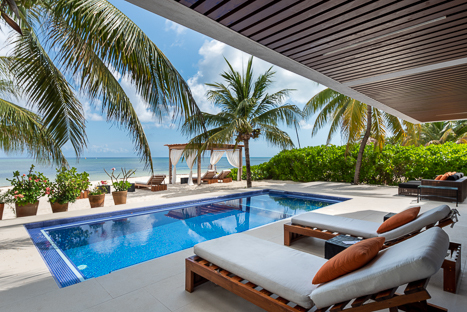 The seaside patio and pool area extend the entire length of the villa. 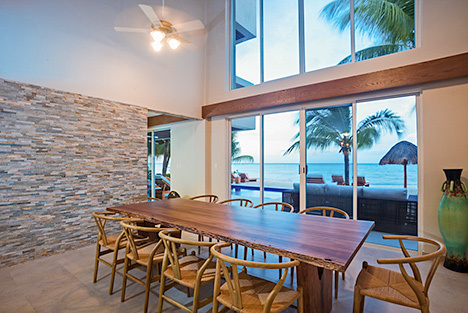 Oceanfront patio is furnished with cushioned lounge chairs and table and chairs and features a brand new infinity swimming pool. 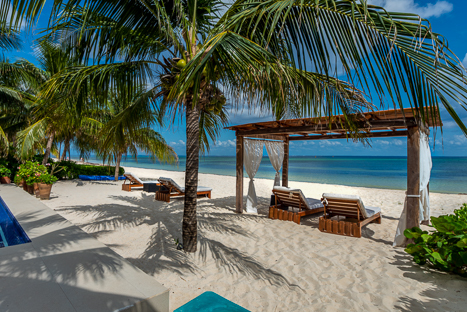 Just steps from the patio is a beautiful sandy beach where you can walk for miles in both directions. 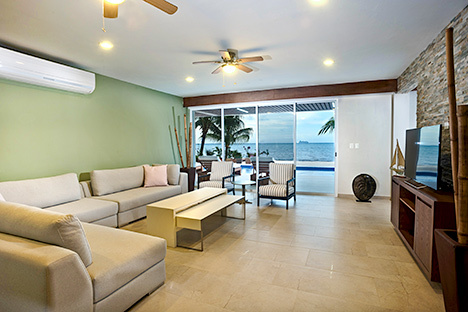 Villa del Sol has ocean views from almost every room of the house, including the living room, dining room, kitchen and three bedrooms. 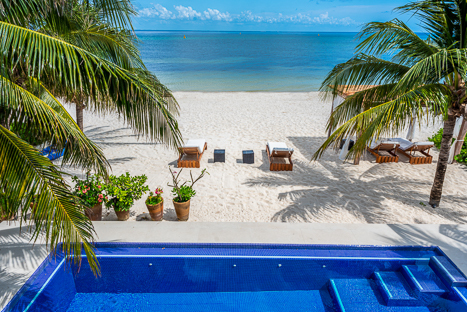 And there are ocean views from the secon level terraces and rooftop palapa patio area as well. The open and airy floor plan on the main level allows everyone to mingle between the living area, dining room and kitchen. Dining area seats 10 and there is seating for 4 at the breakfast counter. As an option, you can dine on the seaside patio. 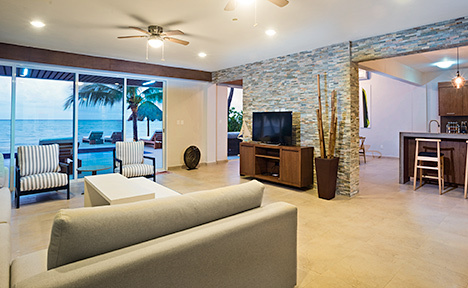 Living area features a flatscreen TV, contemporary furnishings and sliding glass doors to the seaside patio. The four bedrooms have THE most comfortable beds (Ashley memory foam mattresses!) and each has a private ensuite bath. There is also a half bath on the main level. The location of the villa is unbeatable and the spaciousness, luxury and attention to detail in every room will make you feel so pampered and relaxed that you'll never want to leave this slice of paradise. 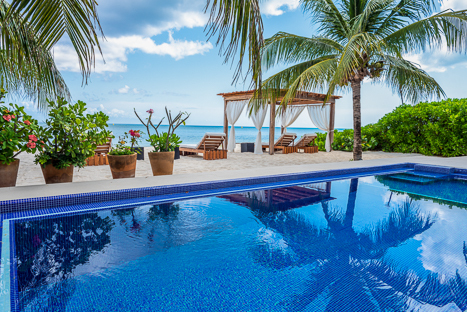 The owner has spared nothing to make your vacation as enjoyable as possible. Villa del Sol is definitely a notch above others! And, the staff will make certain that you are taken care of in the most gracious way; as if you are one of their family members. 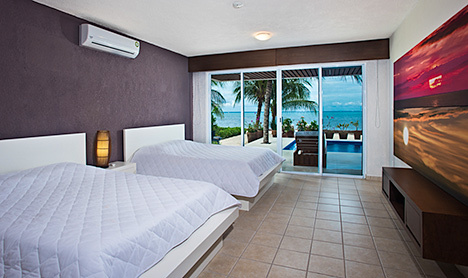 Villa del Sol provides your place in the sun in Cozumel! 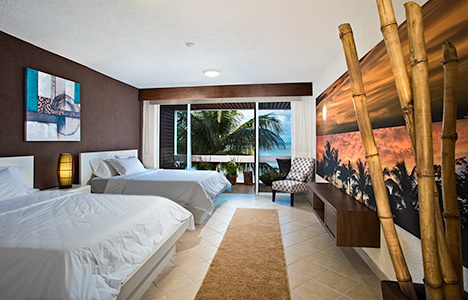 For a larger group, add Villa Grace, 5 BR, for a total of 9 bedrooms! 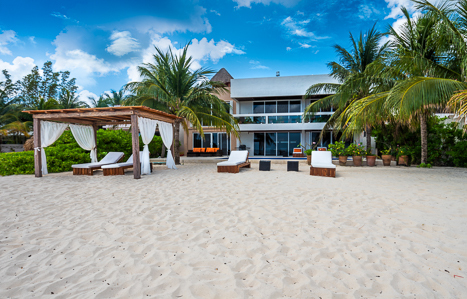 Look how wide and super sandy the beach is in front of Villa del Sol! The fully equipped, modern kitchen has everything . . . including ocean views! 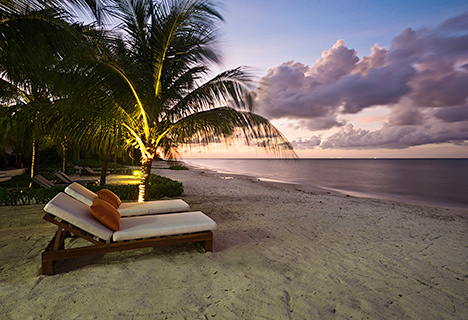 An evening "out" might mean spending time on this quiet beach!